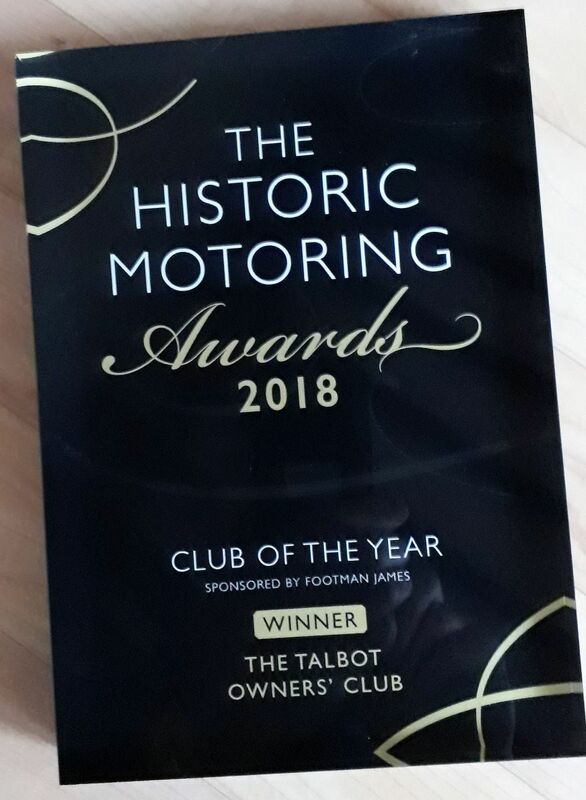 At the Historic Motoring Awards, the Talbot Owners’ Club won the ultimate club accolade – Club of the Year. To be shortlisted was an extraordinary achievement in itself; to win was amazing! 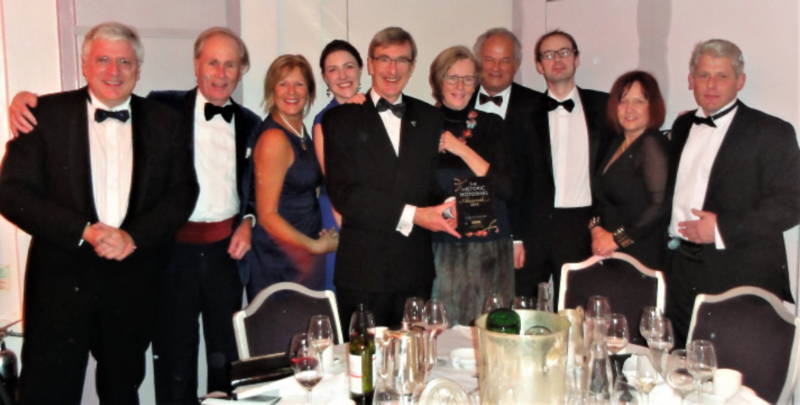 These prestigious and now well-established Awards are, as Robert Coucher, Head Judge and Octane International Editor explained, “a celebration of the passion, achievement and excellence in the classic car industry over the past 12 months. Our industry brings together people of all communities and backgrounds from all over the world via a shared love of old cars. We celebrate the landmark achievements of that community and we have people from all corners of the globe in attendance. The list of entries is one of the strongest we have ever had.” Indeed, as a Finalist, the TOC was up against large and well-resourced clubs such as the Ferrari Owners’ Club, Aston Martin Owners’ Club and the VSCC – tough competition indeed! MC’d by Steve Rider, TV sport anchor-man, other winners among the 19 categories were: Heritage Collection of the Year - Porsche; Motorsport Event of the Year—Le Mans Classic; Personal Achievement of the Year—Madan Mohan for creating the 21 Gun Salute event in India; Bespoke Car of the Year—Jaguar E-Type Concept Zero, the electric E-Type as used by Meghan and Harry at their wedding, and a lifetime achievement Award to driver and motoring writer, Tony Dron, who gave a refreshingly un-pc thankyou speech! Among other qualities, the judges were impressed with the TOC’s increase in Membership numbers, our Magazine, Website and Database, the Technical Manual and our presentation at the Regent Street Motor Show. Thank you to those Members who were at the Sheraton Grand in London supporting the Club on the night, and all at no cost to the Club. It was a great evening and a brilliant result, not only for those who so readily give their time and hard work to make the TOC what it is today, progressive and forward-thinking, but to every Member who has been on this fantastic journey since 2003.